News Americas, FLUSHING, NY, Sat. Sept. 8, 2018: Caribbean roots tennis star, 20-year-old Naomi Osaka, made history at the Arthur Ashe Stadium at the U.S. Open Saturday afternoon, winning her first grand slam in spite of a controversial match that left her in tears despite her stunning victory. Japanese and Haitian player wrapped up a 6-2, 6-4 victory, the US Open 2018 trophy and bragging rights. But while Osaka should have been happy, celebrating and cheered on, she was in tears and look demure and deflated at the end even as she hoisted the cup. There was no denying she outplayed Serena Williams on the scoreboard Saturday. But then drama erupted at the match between Williams and Portuguese-born umpire, Carlos Ramos. Williams demanded an apology after he initially issued a warning for a code violation in the second set’s second game for receiving coaching, which is not allowed during Grand Slam matches. Williams objected right away, saying she would “rather lose” than cheat. After the match ended, in an interview with ESPN, Williams’ coach, Patrick Mouratoglou, acknowledged he had tried to signal Williams, but said he didn’t think she had seen him — and added that he thinks every player gets coaching during matches. Williams appeared to be working her way back into the match, breaking Osaka for the only time to go up 3-1 in the second set. But Williams played a poor game right after that to get broken immediately, and she smashed her racket on the court, destroying it. That drew a second code violation and, automatically, cost Williams a point. 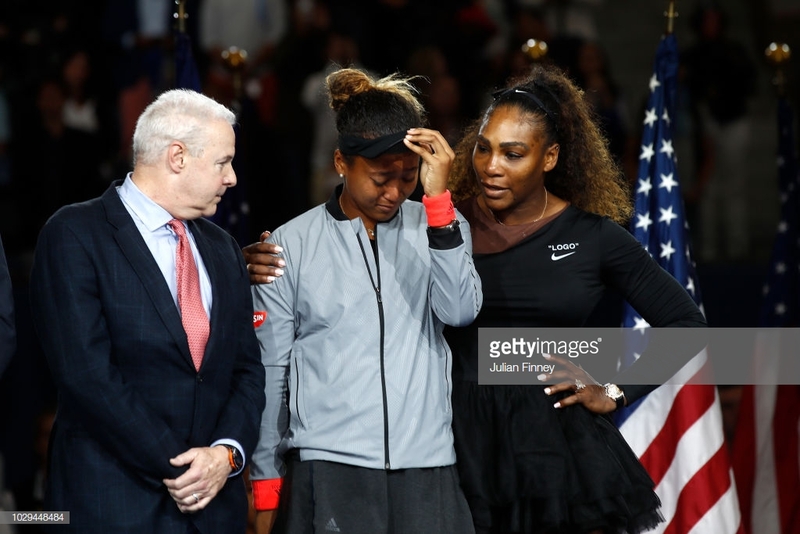 When she realized that the next game had started with Osaka ahead 15-love, Williams told Ramos he should have retracted the initial warning for coaching. Soon thereafter, the match was over. It was the second Grand Slam final defeat in a row for Williams and the third high-profile conflict with an official for Williams at Flushing Meadows. The new US Open champ was born in Osaka, Japan, to Tamaki Osaka and Leonard “San” François. Naomi and her older sister Mari were given their mother’s maiden name for practical reasons when the family lived in Japan. Her father was born in Haiti and went to New York University before moving to Japan, where he met and married her mother. Naomi and Mari, who is also a professional tennis player, have played together in doubles tennis. Naomi Osaka moved to the United States at the age of three with her family and currently resides in Fort Lauderdale, Florida. She graduated from Elmont Alden Terrace Primary and Broward Virtual High School. Her tennis club was the Harold Solomon Institute (Florida Tennis SBT Academy), ProWorld Tennis Academy. Osaka is an aggressive, offensive baseliner who is able to hit winners off both sides. She likes to attack with her big forehand, but she can plant her feet and rip her backhand for winners as well. Her serve is consistent and very strong – up to 125 miles per hour (200 km/h) – and she can produce shots of varying spins and paces. 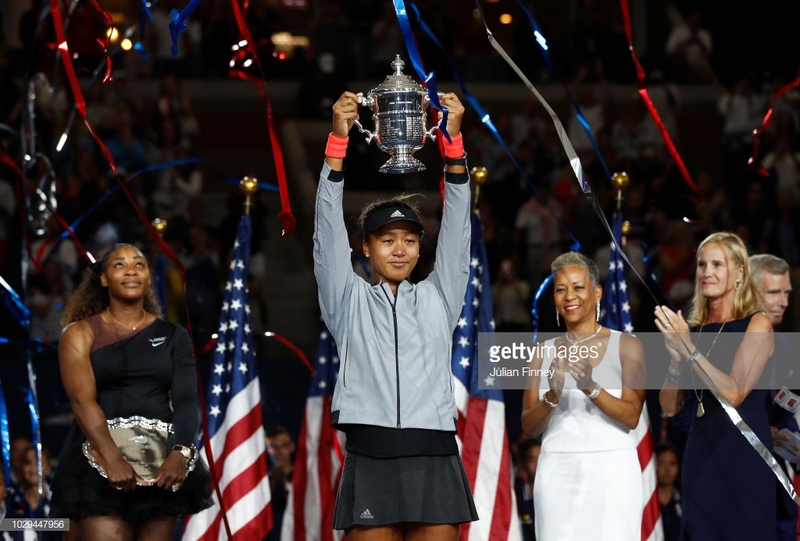 The post Caribbean Roots Tennis Star Naomi Osaka Wins Controversial US Open appeared first on Caribbean and Latin America Daily News.